In this article, you will learn about C programming history from its inception to its evolution. You will also learn from which languages C descended from. Who developed C programming language? C programming language was first introduced by Denis Ritchie at the AT &T’s Bell Laboratories USA in 1972 and was implemented for the first time in DEC PDP-11 computer. C evolved from two previous programming languages BCPL (developed by Martin Richards) and B (developed by Ken Thompson). Denise Ritchie used the concepts of BCPL and B to develop C and added data typing and some other powerful features. 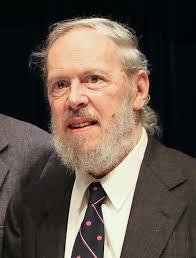 In 1960s Dennis Ritchie was working at AT&T Bell Labs to develop an operating system. At those times all the systems used assembly language which required pages of codes for even simple tasks. The UNIX system which was built by both Dennis Ritchie and Ken Thompson was built using assembly language. Later they changed the chip system of UNIX from PDA-7 to PDP-11. At that time B (developed by Thompson himself) was the most advanced programming language and they thought of implementing it on UNIX but the compatibility issue of B with PDA-11 led to the development of new high-level programming language which was later named C as it was the successor and influenced from B. Initially, C was widely used to develop the UNIX operating system and nowadays also almost all major operating systems are written in C and C++. In 1978 a book named The C Programming Language was published written by Denise and Kernighan which became widely popular and became one of the most successful books written about computer science. This programming language was named C because many of the ideas and principles were derived from previous programming language named B.